Through ACORDAR, TechnoServe helped 1,165 farmers across 13 cooperatives improve the quality of their products and increase their incomes. The closing ceremony of the ACORDAR program in late August marked a personal triumph for Ivania Ruiz Balmaceda (second from right). 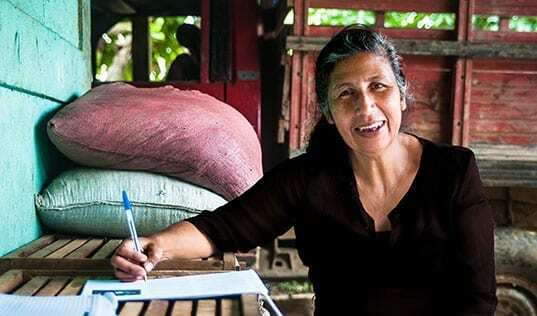 After years of struggling to make a living—working odd jobs and picking crops on her neighbors’ farms—the widowed mother of three from Las Delicias, Nicaragua, proudly presented U.S. Ambassador Phyllis Powers with a basket of fresh vegetables from her own farm. 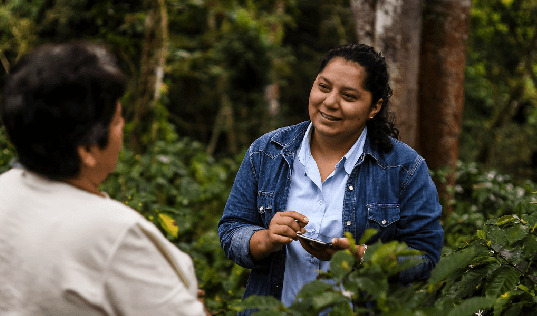 Through the five-year program, funded by the U.S. Agency for International Development and managed by Catholic Relief Services, TechnoServe helped 1,165 farmers across 13 cooperatives improve the quality of their products and increase their incomes. Ivania received training on best production practices and gained access to local processors and buyers. With the earnings from her first tomato harvest last year, Ivania was able to send her daughters to school, buy better clothing and invest in her farm. In total, TechnoServe-assisted farmers generated $34 million in sales and 4,915 full-time jobs over five years. By building capacity, investing in infrastructure and forging critical market connections, TechnoServe has helped ensure sustainable long-term growth for the cooperatives. During the closing event, Ambassador Powers praised the program’s achievements. Learn more about TechnoServe’s work with agricultural cooperatives in Nicaragua.